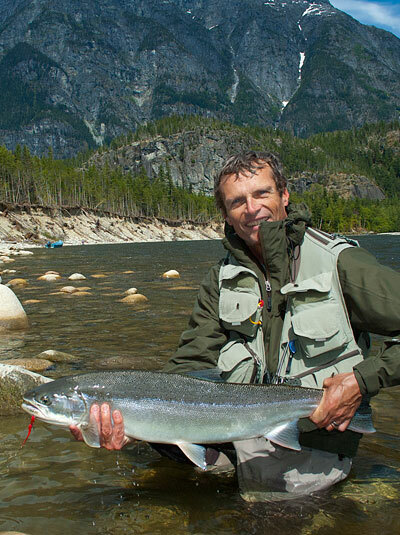 The idea to write this article came about during a discussion with several anglers. The topic: fly line price points. You can purchase a fly line at a discount shop for as little as $9.99, and products at the other end of the price/quality spectrum can run ten to twelve times that amount. You can easily guess that the main point of discussion was price range. One significant flare-up came early in the discussion when someone offered “they’re all the same, the only difference is price, and some anglers need to think that they’re fishing with a ‘superior’ product”—not quite something I’d agree with, but it certainly got me thinking. The debate highlighted the need for clarification, so I contacted Simon Gawesworth, RIO’s line development guru and chief marketer. I also put Simon’s claims to the test, and asked RIO to send me three lines (same weight rating and taper), at three different price points: RIO’s Mainstream (entry level, $40), Avid (mid-range, $55) and Trout LT (premier series, $75) lines. I spent an entire day fishing the lines on both a fast and a traditional fly rod. My observations follow the Q&A. RM: Considering the features offered in the RIO LT range of products, why would anyone gravitate towards Avid lines? SG: It is no more than a pricing reason, to be honest. The LT is far superior in sophistication of taper, in materials used, in technologies and slickening agents, and is a much better line. However, not everybody wants to pay $75 for a fly line, and for anglers that aren’t going to appreciate the extra quality and price of the LT, the Avid is a great way of getting a very good trout line for a lot less money. RM: Which species are the Avids best suited to (besides trout)? 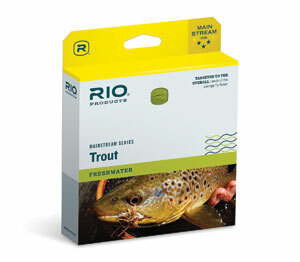 – are they more of a multi-species line than other RIO products? SG: They are designed for trout, but will work for most coldwater species that doesn’t require casting huge or air resistant flies. RM: How do the Avid cores (materials/weave) and coating material formula differ from the hi-end and entry level products? SG: In many ways. First, the raw materials used are not of the highest grade, nor of the lowest. Our LT has the finest micron size of microspheres, and the very best silicones and other raw ingredients. With the Avid lines we use slightly less a quality of raw materials than we do with the Premier lines, but a much higher grade of chemistry than of our mainstream level. The same with the core material, where we use the tightest, smoothest weave cores possible on the LT and Avid lines, and for the Mainstream lines we use a slightly lesser quality braid. RM: Are the Avid tapers adjusted to suit a moderate (as opposed to advanced) casting proficiency? SG: Yes, the Avid lines have a little more weight, and more front loading than the AFTMA standard recommends, just for that reason – to be easy to cast, and ideal for moderate casters. RM: Is the durability, hardness, slickness, materials formula of the Avids on par with the hi-end or entry level products? If neither, what makes the Avids unique? SG: Neither, really. The Avid lines have their own unique chemistry and features. For example, Avid lines have AgentX technology and Extreme Slickness, which were are top quality technologies last year. Now the new trout premier lines, like the Trout LT, have a very sophisticated, highly enhanced technology coating that we call MaxCast. Lines like the Mainstream don’t have any such technologies. The hardness is about the same for each level of line, but the durability and slickness certainly improves with the addition of the technologies. Note that there’s one physical difference in overall line length, with the Mainstream product having 10 feet less running line than the other two products. 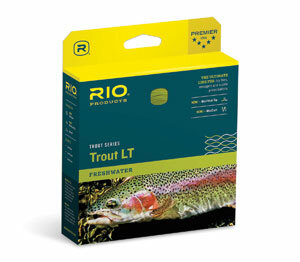 RIO’s Trout LT lines constitute the “full package,” so expect super-slickness, hi-flotation, welded loops and individual taper formulas. Make these the go-to lines when you’re expecting to fish quiet, cool waters. Also, if your casting is up to the task, expect surgically precise deliveries, and the softest of presentations, whether you’re fishing up close or at mid-range distances. LT coatings were developed for coldwater use and are amongst the most supple lines available. 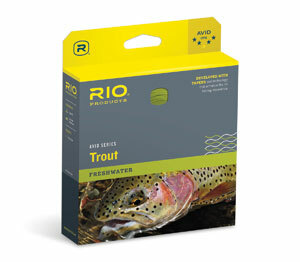 They are the ideal partner for traditional, softer fly rods and perform well on new-school models with more zip. Roll-casting the LT is at treat that will probably spoil you. An excellent product for fishing tight quarters. Well balanced and surprisingly supple, with no appreciable difference in slickness when compared to the LT (perhaps something that becomes more apparent with long-term use). Avid tapers seem to have been designed to high-light the qualities of medium-to-fast action rods, but will function adequately with more traditional rods. More of a general use line than the LT. Great performer if meatier flies are part of your fishing day. Loads quick. Due to its core weave, the Mainstream offers a bit more stretch when the line lays out, so expect a little bounce-back and adjust your drift accordingly. The line is a little less buoyant – but not enough to make mending a chore. The Mainstream is better suited to cooler conditions, so not quite the all around line the Avid is. Taper formula makes casting a breeze: perfectly suited to novice anglers.